Sinochem chose the DynaWave® scrubber for its high operational flexibility both in terms of turndown ability and in terms of varying inlet gas SO2 concentrations. 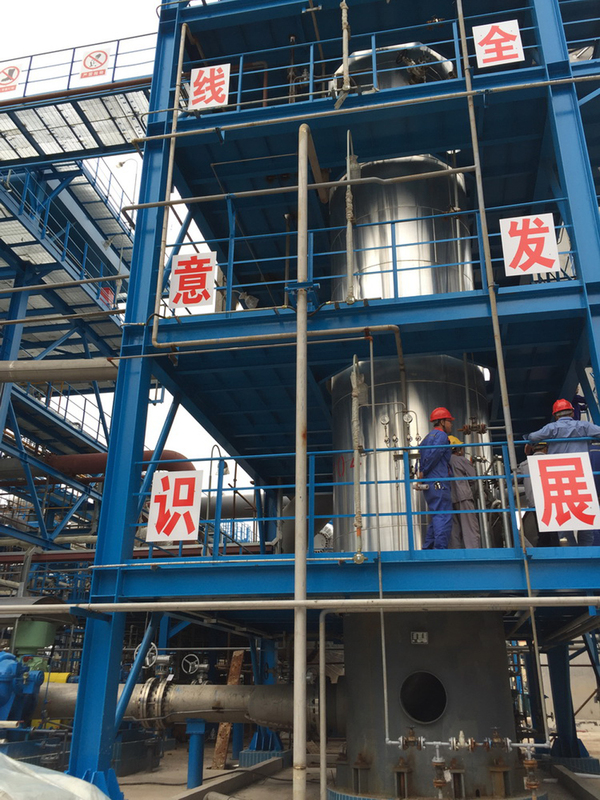 The Sinochem Group has successfully started up a new MECS® DynaWave® wet gas scrubbing unit installed as a Claus tail gas treatment process to reduce emissions at one of its refineries in mainland China (People’s Republic of China) in order to meet current SOx regulations. The Sinochem Group awarded DuPont Clean Technologies (DuPont) the contract to supply the technology license, engineering and proprietary equipment for this scrubbing system last year to ensure their refinery would comply with stricter emission regulations on sulfur dioxide. Typically, for Sulfur Recovery Unit (SRU) tailgas applications, the incoming gas to the scrubber can exhibit two very distinct conditions: normal Claus operation condition and SRU bypass operation condition. At this 165 ton per day TPD capacity SRU, the SO2 emission levels during normal operation mode used to be at levels that are no longer permitted in the area. During bypass conditions, the SO2 even reached peaks well above the emissions measured during normal operations. 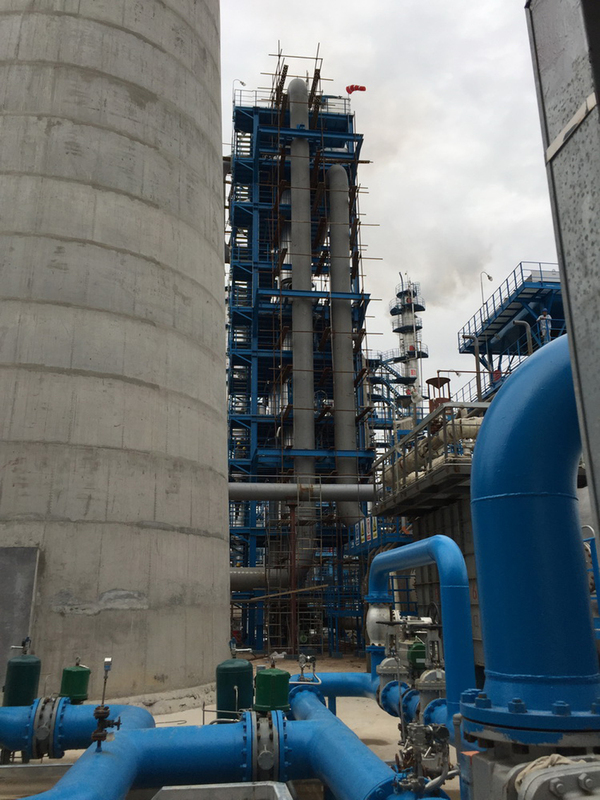 With the startup of the DynaWave® scrubber, the Sinochem Group succeeded in significantly reducing airborne emissions from this refinery in all operating modes. SO2 emissions are now guaranteed to stay below 50 mg/DNm3 (corrected to 3 percent O2), even during Claus bypass conditions. In the past, during the bypass operation mode, off-gas from the catalyst would be released directly to the stack and into the air, causing environmental issues that are no longer permissible. Sinochem started to research different solutions to resolve these issues back in October 2015, and finally opted for the MECS® DynaWave® scrubber, a scrubbing technology licensed by DuPont. Without further treatment, the outlet of a wet gas scrubber system would typically generate a white plume when released to the atmosphere. This is due to the water saturated gas exiting the stack and coming into contact with lower atmospheric temperatures. For visual optimization of the entire investment, Sinochem had asked DuPont to eliminate any visible steam plume at its stack, which was much appreciated by the surrounding community. Licensed by DuPont, MECS® DynaWave® scrubbers are designed to work with a variety of reagents and handle multiple functions in one vessel. As such, the process makes it possible to quench the incinerated gas and remove potential particulates while absorbing the remaining acids from the Claus Tail Gas Treatment Units TGTUs. The technology also offers the flexibility of bypassing the SRU or the SRU tail gas system during maintenance and repairs, so operations can continue without interruption. The DuPont Clean Technologies division, a business unit of DowDuPont Specialty Products Division, applies real-world experience, history of innovation, problem-solving success and strong brands to help organizations operate safely and with the highest level of performance, reliability, energy efficiency and environmental integrity. The Clean Technologies portfolio includes STRATCO® alkylation technology for production of clean, high-octane gasoline; IsoTherming® hydroprocessing technology for desulfurization of motor fuels; MECS® sulfuric acid production and regeneration technologies; BELCO® air quality control systems for FCC flue gas scrubbing and other refinery scrubbing applications; MECS® DynaWave® technology for sulfur recovery tail gas-treating solutions; and a comprehensive suite of aftermarket service and solutions offerings. Learn more about DuPont Clean Technologies at http://www.cleantechnologies.dupont.com.